There are many ways you can use your handcrafting to support charities. 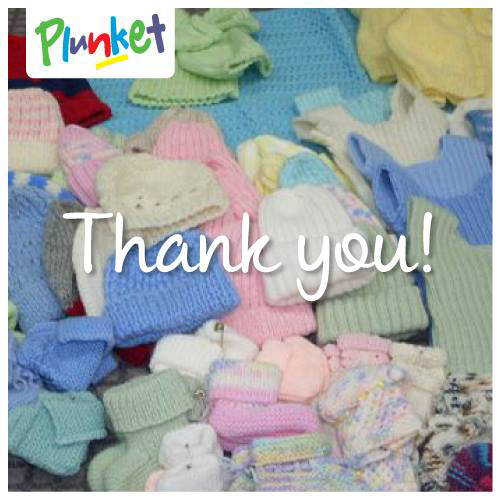 In my recent article “Baby Knitting” I mentioned the Plunket Society in New Zealand, and the “Knit For Plunket” programme they run to help support babies in families who are struggling financially. The neonatal units in our hospitals are also always very grateful for any hand knitted hats and bootees people can donate to be used for the premature babies. A number of sites provide free patterns which you can use for this, but I would recommend that you make “Ravelry” your first stop. It is not just babies who can benefit from your handcrafting. My eldest son is currently doing something called “The Longest Walk New Zealand” to raise awareness of, and funds for, local animal welfare organisations. He has his two little dogs with him and on one of his first stops a kind lady gave him some hand knitted jumpers for the dogs. She knits them for dogs in her local (Dunedin, Otago) SPCA shelter. You can find plenty of free patterns online (knitted and crocheted) if you would like to start doing this for an animal shelter near you, and Ravelry can be a good start for these too. I would like to recommend, however, that you contact them first to find out what help they need. Animal shelters in particular have differing needs at different times. You may find that in winter time they would love to have small blankets and dog jumpers, while in summer knitted or crocheted toys to provide entertainment for cats and other animals may be more useful. It may even be that the best way to help some organisations is to sell some of your handcrafted items and donate the money. I have recently come across another idea involving making caps and scarves for cancer patients. Here again you can use your own patterns or find free patterns online. If you would like a little more assistance you can visit the “Craftsy” website where they sell a kit called “Chemo Cap and Scarf Knitting Kit”. Another website, “Leisure Arts”, has a page labelled “Knitting Charities“, which has a number of patterns for sale that can be used for charity knitting. I would love to hear from anyone with other ideas for using handcrafting to support charities, and plan to do some follow up posts on this theme.